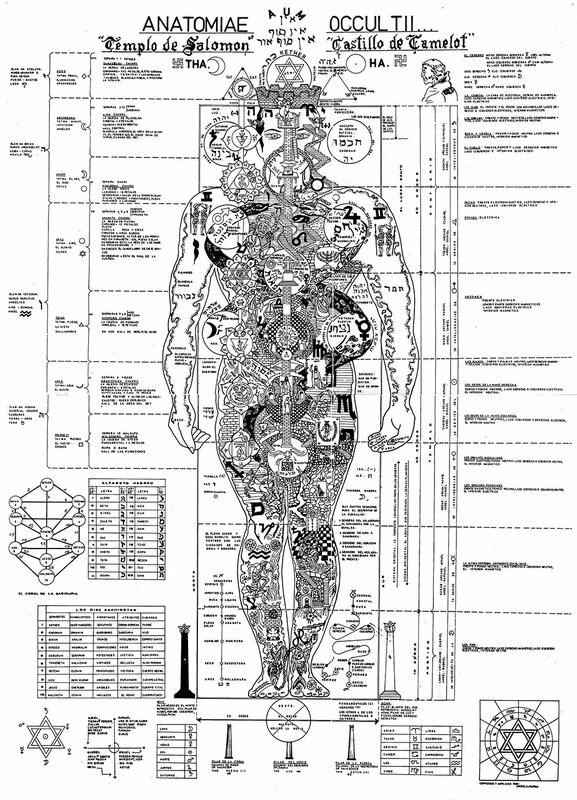 The image below depicts the occult anatomy of the human body, as projected on the Vitruvian Man. Leonardo da Vinci created the original image. Occult anatomy has many other names. Among them are esoteric anatomy, spiritual anatomy and subtle anatomy. This is the subtle “energy” of the body. Many systems from around the world depict it. 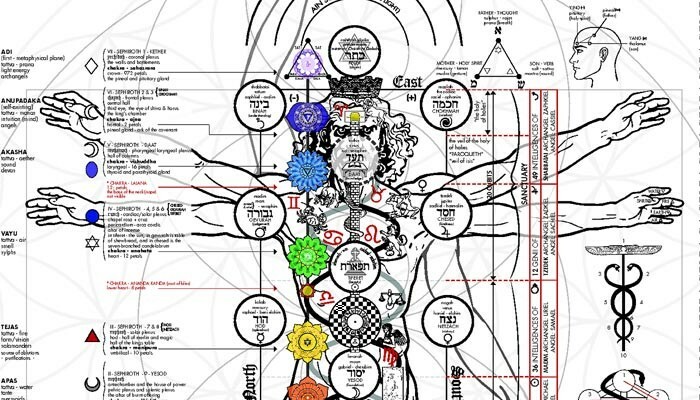 The Kabbalah, Chakras, and acupuncture points of Chinese medicine all show occult anatomy. Energy healers and spiritual healers use this subtle anatomy to change the body and mind. Western medicine relies on making surgical or chemical changes to the body. Eastern and alternative medicine relies on manipulating the subtle anatomy. Making small changes in the subtle energy and in a patient’s mindset can be very healing. 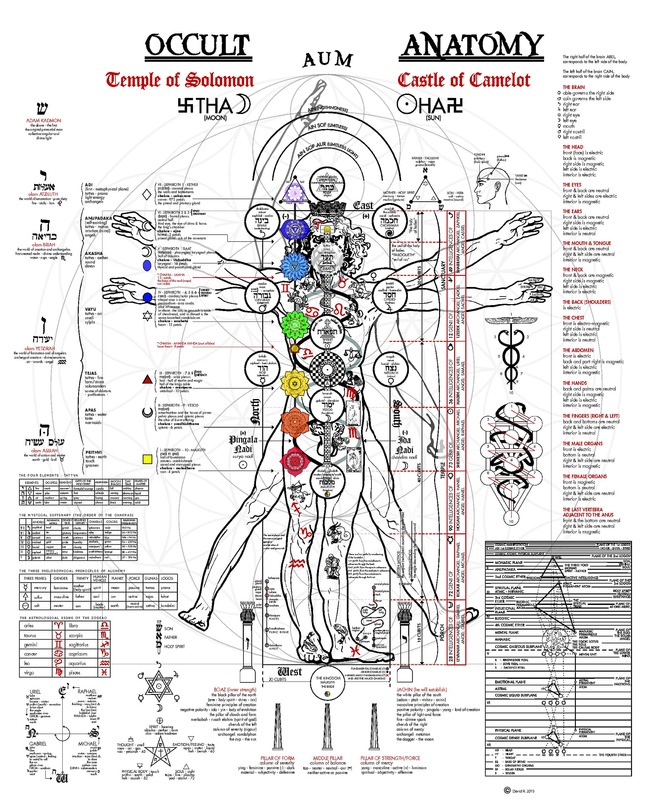 Understanding occult anatomy is a great key to improving health, both of the body and the mind. It is also an important key to achieving spiritual growth and even enlightenment. Spiritual practices heal and strengthen the occult anatomy. A person with a healthy subtle body will be very energetic, charismatic and powerful. To strengthen your subtle body, start with strengthening your physical body. Start eating better. Take a yoga class. Make sure you are thinking positive—don’t dwell on the negative. Ready to get serious about developing a strong subtle body? Check out our free book and course on learning magick. It covers core spiritual practices like meditation, health, and setting positive goals. These practices will help you build a strong energy body, and a foundation for an incredible life!